I’m all for Lib Dem defections, so long as they are defecting because they see that Liberal Democratic neoliberal politics is a failed system and ideology and not just because they think it’s their best chance of re-election. Should he resign and seek re-election? This entry was posted in Uncategorized on October 8, 2014 by Bridgend's Green Leftie. 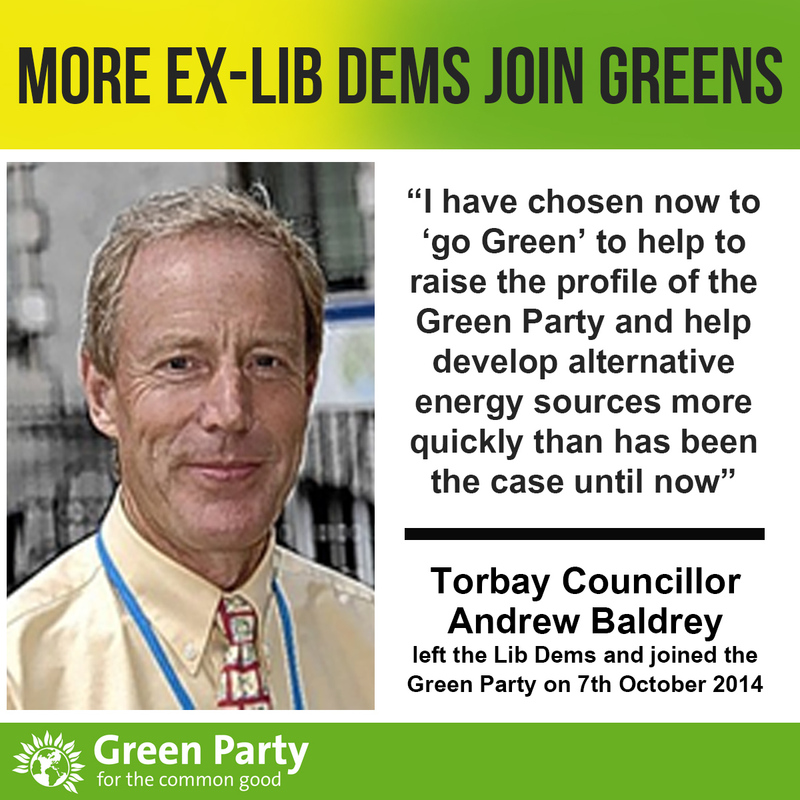 Six months later, he sits on Torbay Council as an Independent.